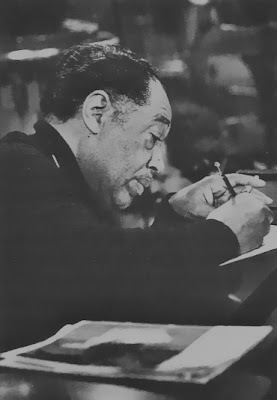 Duke Ellington in a BBC studio, at work with a Blackwing pencil. Yes, it’s a Blackwing: the ferrule is the give-away. That’s most likely a Pall Mall in Ellington’s other hand. This photograph appears in Derek Jewell’s Duke: A Portrait of Duke Ellington (New York: W.W. Norton, 1977). There appears to be no evidence that Ellington had any particular attachment to the Blackwing pencil, or to any writing instrument. Love it! 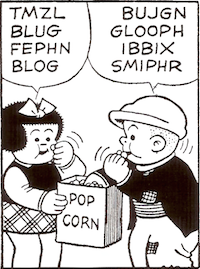 1965 was a pretty good year for a few reasons (yeah, I'm biased because it's my birth year). A good year for Ellington too — his first Sacred Concert. And The Far East Suite was in the works.